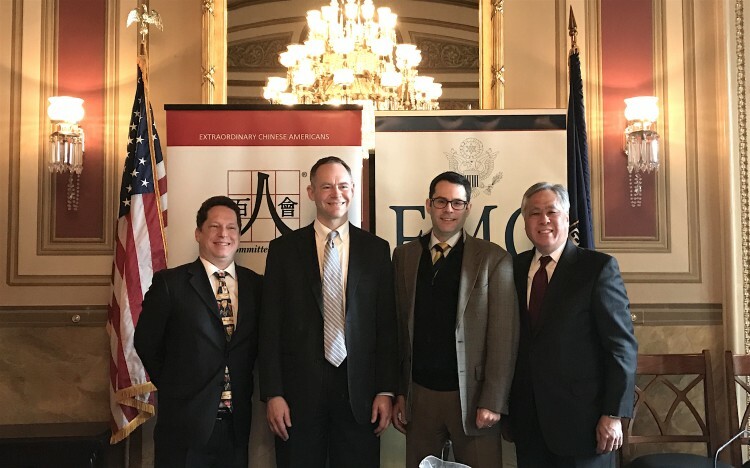 On Feb. 16, 2017, the Committee of 100 (C100) hosted an invite-only breakfast at the U.S. Capitol addressing “After the Pivot: What’s next for U.S.-Asia relations?”, organized in partnership with the U.S. Association of Former Members of Congress (USAFMC). This event kicks off a new year of C100 briefings on Capitol Hill, a part of our continued efforts to promote dialogue on the most pressing issues impacting U.S.-China relations. The event was supported in part by the J.T. Tai Foundation. C100 Member and Washington D.C. Chairman Robert Gee moderated the discussion between distinguished panelists Dr. Michael Auslin, Resident scholar and Director of Japan Studies, American Enterprise Institute; Dr. Scott Kennedy, Deputy Director, Freeman Chair in China Studies, and Director, Project on Chinese Business and Political Economy, Center for Strategic and International Studies; and Dr. Mark Manyin, Specialist in Asian Affairs, U.S. Congressional Research Service (CRS). 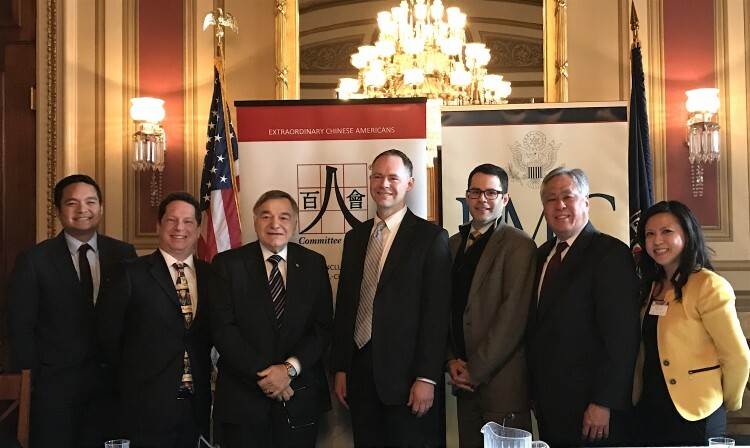 From left: Richard Buangan, Scott Kennedy, the Honorable Joseph DioGuardi, Mark Manyin, Michael Auslin, C100 Member and Moderator Robert Gee, and C100 Executive Director Holly Chang. Dr. Kennedy made an argument for why moderately turning up the heat on China would be a much more effective approach than starting an all-out trade war and treating U.S.-China relations as a zero-sum game. Dr. Auslin hypothesized that the success of U.S. Asia policy going forward will depend heavily on the strength of the U.S.-Japan alliance, particularly as Japanese Prime Minister Shinzo Abe has positioned himself as a defender of the liberal international order. 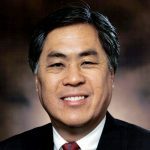 This briefing is part of C100’s national Speakers Forum Series, a high-level platform that addresses major issues in U.S.-China relations and the Asian American community. An executive summary was distributed to attendees and congressional staff.